Size of this JPG preview of this PDF file: 415 × 599 pixels. Other resolutions: 166 × 240 pixels | 332 × 480 pixels | 415 × 600 pixels | 532 × 768 pixels | 1,125 × 1,625 pixels. 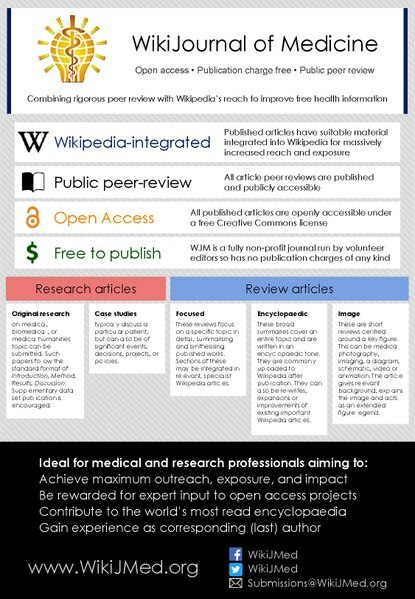 English: This is a promotional poster explaining the aims and scope of the WikiJournal of Medicine. It additionally advertises the best article prize for submissions in 2017.